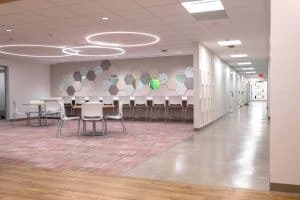 Hospital construction and health facility renovation projects are plentiful throughout the country, but not every healthcare system is equally as focused on redesigning space for the benefit of their administrative workers. 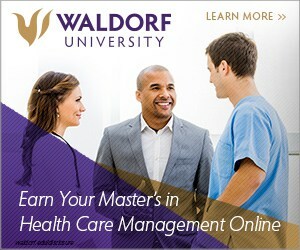 Most systems are inclined to pull out the red carpet for top surgeons. 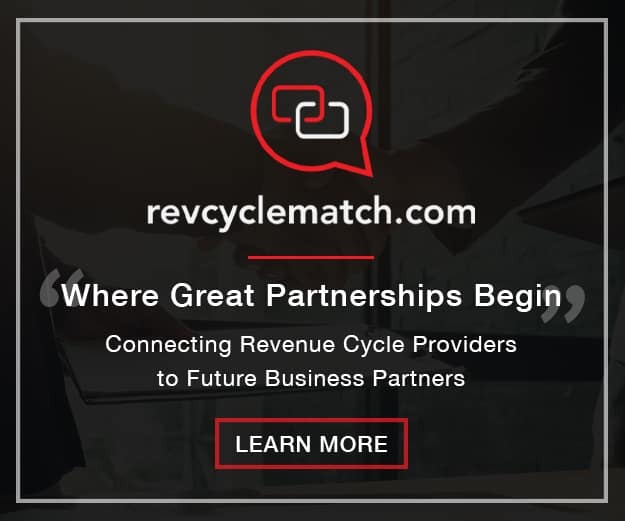 Today’s market requires that healthcare systems catch up with the workplace trends capable of recruiting and retaining the top talent in non-clinical healthcare departments such as administration. Northwell Health, the largest integrated health system in New York state, has made a commitment to better serve the community through sustainability, social responsibility, quality, and safety. 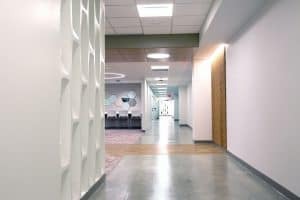 They put this into practice by providing their staff, who are often community members, with a facility where employees can enjoy their physical workspace environment. Northwell wanted their staff to be more engaged, productive, happy, and healthy, so they were ready to invest in a redesign. 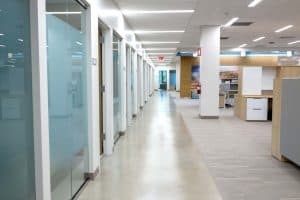 Proven with a plethora of studies, Northwell Health knew it could transform its 72,162SF office space in Manhasset, New York, into an inclusive environment that would foster collaboration, creativity, and informed decision-making. 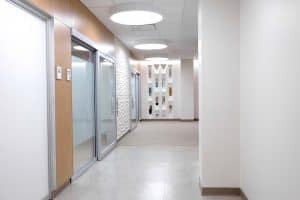 After several years of collaborating on a variety of other projects, including a corporate office, Northwell felt confident that E4H Environments for Healthcare Architecture was also well-suited for the design of this office. Health system administrators can be responsible for high-stress jobs from marketing and development to public affairs, billing, legal counsel, and operations management – all of which ultimately support a hospital’s mission and ability to save lives. As healthcare architects and designers, E4H drew on its deep experience in creating efficient, sustainable, and health-promoting spaces to transform a unique floorplan into a comfortable and modern work place. We believe their invitation to accept the challenge of designing for the new office paradigm stemmed for our sensitivity for designing impactful spaces, with consideration for wellness and collaboration. As practitioners of a human-centered design agenda, we know the office renaissance now sees more diversity in the work place. With millennials and baby boomers working side by side, design must be the catalyst to facilitate collaboration. How do we design to appeal to age and cultural diversity of the staff? Design must accommodate the various forms of comforts and needs. We felt the design must be engaging and stimulating, with a sense of openness all while providing opportunity for privacy as needed. How will our design for wellness crossover to not just make this place a different experience, but to make it a better one. It had to be more than shiny and new; it had to work better too. Together with the client we were able to explore and rethink the work place of today, what it is now, and what it may become. For Northwell Health’s office transformation, the design needed to maximize the 72,162SF “football field” floorplan by including a mix of private and flexible space elements while incorporating areas appealing to the diverse staff demographic. During the creative planning process, E4H created a cohesive and energizing layout comprised of executive offices, meeting rooms, lounges, support spaces, break out collaboration areas, and a community dining area. Knowing that positive human performance and health can be increased by controlling the physical environment, we incorporated access to nature, views and daylight, sensory change and variability, noise control, and careful consideration to materials and colors. The result is an office space that embodies the themes of wellness and sustainability. A pantry with accented visuals of a lush vegetation wall to bring and a sense of life and calm. The environment is well-appointed with decorative design elements meant to stimulate the senses. Seating is arranged to provide choice, for the group, the couple, or the individual to dine, work, or decompress. As Cherie Johnson of global design Steelcase said, “You need to understand how and why people use a space and then create spaces to reflect clarity, simplicity and purpose.” It is a quiet yet energized space ready to assume any purpose. Bold and abstract artwork throughout the office to inspire and engage the visual sense. To reach beyond the familiar we elected to utilize larger art pieces, closer to a mural scale. The measure of the office dictated a larger scale to be more impactful and to serve as way-finding and orientation. The larger-scale art is placed to catch the eye over some of the greater distances. Their burst of color enlists them to serve as beacons for the major gathering places. Exterior building windows and glazed perimeter office walls allow ambient daylight to penetrate deep into interior spaces while still providing privacy. Having visited the client on numerous occasions, we had a developed a good sense of the seasonal changes in the surroundings. We were able to take advantage of the lush greens which appear to line the perimeter of the office. From the wonderful spring greens to the rich fall foliage and snow-dusted branches of winter, all are shared throughout the spaces to touch the emotion, boost motivation, engagement and connectivity. Yes, design must do more. Smart organizations like Northwell Health understand that people are the engine that keep the health system growing, adapting, improving and innovating. 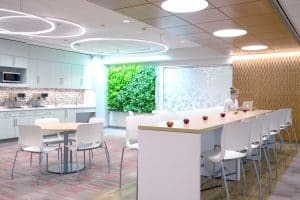 E4H’s thoughtful workplace design will be a powerful tool now and in the future for supporting employees’ performance and health. Renaldo Pesson, NCIDQ, IIDA, AAIA, is an award-winning designer and associate partner at E4H Environments for Health Architecture, an architecture firm focused on the healthcare and health innovation industry. He holds a US patent for the “Balance Beam” (Cooper lighting), a touch-sensing fixture to help prevent falls and injury by illuminating a path to the patient’s destination. He received an Illumination Design Award from the Illuminating Engineering Society of North America.